June 8th is World Ocean's Day! 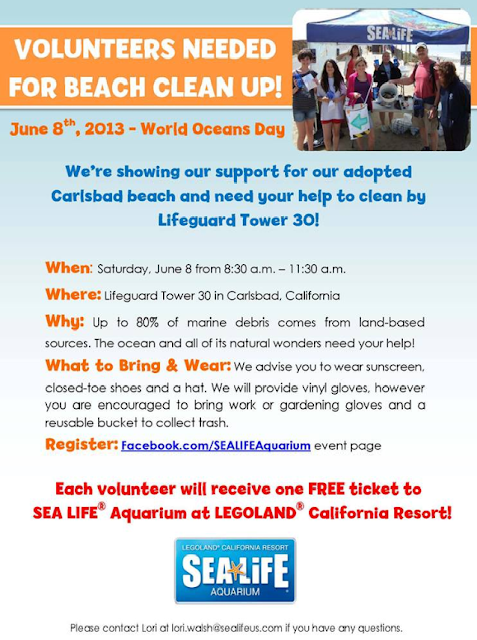 We love keeping our coast clean! 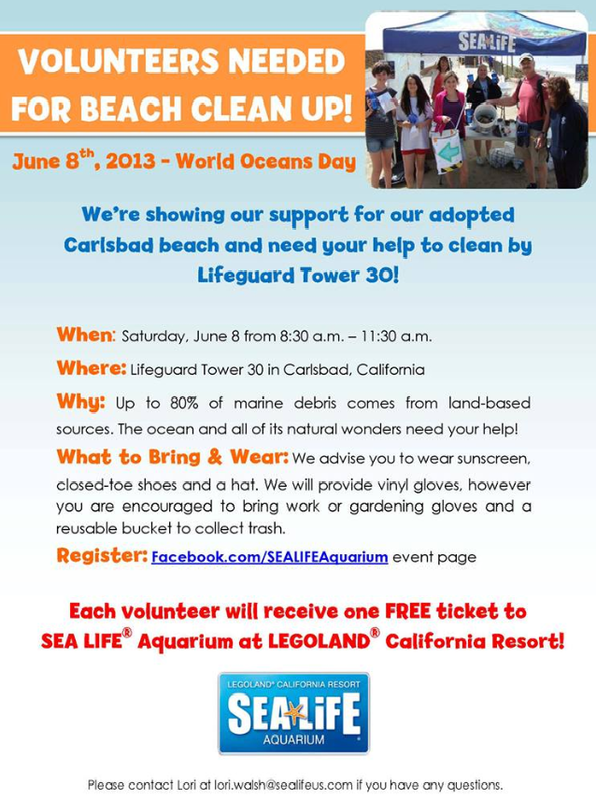 Come help clean up one of our local beaches and receive a FREE Ticket for each volunteer to the SEALIFE Aquarium at LEGOLAND California Resort! Register Here. "Join" the page and you are registered.